Southwest Irrigation Systems had been serving Houston and its surrounding area since 1985. Quality workmanship, professionalism and attention to customer service are the foundation of our long-time success. We specialize in installation and repair of sprinkler systems, drainage installations and landscape lighting. It is important that we communicate and listen to your needs. We want to give you simply the best system and service available. Our operation team is licensed with the state of Texas. We are members of the Houston Gulf Coast Irrigation Assoc, Texas Turf Irrigation Assoc, BBB, Home Service Review and Ft Bend Chamber of Commerce. We offer the best Tree services in Pasadena, Texas. 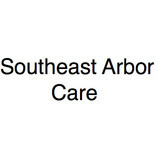 Please contact us for all of your tree needs! If you're looking for high-quality lawn and landscape company serving Humble Texas, you can stop your search now. 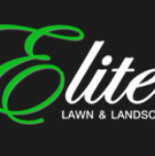 Elite Lawn and Landscape is a local business that has a new presence in Humble, TX and surrounding areas. If you're searching for a business that can help you take care of all of your outdoor needs, there's no better option around than Elite. Whether you have a residential home, apartment complex, business suites, or even open acreage for industrial use - we are here for a job well done at an affordable rate. If you're looking for high-quality lawn and landscape company serving Huffman Texas, you can stop your search now. 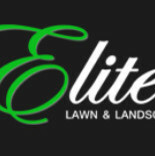 Elite Lawn and Landscape is a local business that has a new presence in Huffman, TX and surrounding areas. If you're searching for a business that can help you take care of all of your outdoor needs, there's no better option around than Elite. Whether you have a residential home, apartment complex, business suites, or even open acreage for industrial use - we are here for a job well done at an affordable rate. 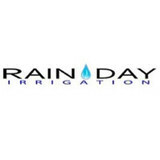 Whether you are a commercial contractor or a homeowner Rain Day Irrigation has the expertise, manpower and equipment to meet all your lawn sprinkler, drainage and landscape lighting needs on time and within your budget since 1989. All Seasons Turf Grass is a wholesale and retail grass farm located just west of Houston on 1,200 acres in Brookshire, Sealy and Monaville, Texas. We provide grass for sports fields, golf courses, sod lots, retail stores, landscapers and homeowners. Call us today! LawnStarter is a unique, 21st century solution to lawn care. If you've ordered lawn care service before, you know the pain. Leaving voicemails, waiting for estimates, dealing with that unreliable lawn mowing service...it's painful. LawnStarter is the easiest way to order lawn care service. We offer a unique online platform, where you can generate an instant, personalized lawn mowing quote and schedule service in under 2 minutes. Additionally, we offer the ability to manage your entire lawn service package from an app. You'll automatically be notified when your lawn mowing service was rescheduled, or when it's time for seasonal services. And at the core of this business, is fantastical customer service. Contact us via phone, email, live chat any time. Our lawn care service area includes all of Orlando, Kissimmee, Sanford, Deltona, Winter Park, University, and pretty much anywhere in the Greater Orlando Metro Area. Economy Irrigation has serviced irrigation systems in the Houston and surrounding area since 1989. We ensure that our licensed technicians will do a full assessment on your entire irrigation system in order to diagnose the cause of an issue and can repair the issue the same day. Economy Irrigation installs Rainbird irrigation parts but has the ability to repair all types of irrigation systems. Our repairs come with a one year warranty on repaired parts and labor. Complete landscaping and licensed Irrigator. CALL ME I CAN GIVE YOU THE HELP YOU NEED I HAVE A GREAT EXPERIENCE IN THE AREA ... FOR A GREAT DEAL I COME OUT AND DO A PROFESSI0NAL JOB .. AVAILABLE AT ALL TIMES 7 DAYS A WEEK... HAVING A PARTY AND EMBARRESD OF WHAT YOUR FRIENDS GONNA SAY ABOUT YOUR YARD CALL ME I WILL FIX THE PROBLEM FOR THE DAY YOU NEED IT . At AJ’s we provide quality lawn restoration and fertilizing services. Contact us for a quote tailored specifically for your home! We are a professional lawn care and landscaping service located in the Houston area. With ten years of experience in residential and commercial landscaping, we pride ourselves on making sure each client is completely satisfied. Bloom Landscaping strives to provide careful and quality work on each job. Every home is unique, and we believe your lawn care should should be individually tailored to suit your needs. Our goal is to make the exterior of your home as welcoming and beautiful as the interior. Whether you are simply looking for a well maintained front lawn or a lush garden paradise in your own backyard, we can provide the services you need. Let us help you transform your vision into reality. All you need is a little imagination and Bloom Landscaping will do the rest. Do you get yard envy when you see your Richmond neighbors’ lush garden, and bemoan your lack of a green thumb? If you want a bountiful yard without doing a bounty of yard work, hire a gardener in Richmond, TX! From lawn maintenance to plant cultivation to weeding to general landscaping, Richmond, TX gardeners have the expertise and experience to create an abundant garden for you that will be the cause of neighborhood yard envy! In addition to the maintenance side of gardening, Richmond, TX gardeners can help you with garden design and choosing specific plants and grass types for your climate and area. Find a Richmond, TX gardener on Houzz. Narrow your search in the Professionals section of the website to Richmond, TX gardeners. You can also look through Richmond, TX photos to find examples of yards that you like, then contact the Texas contractor who worked on them.